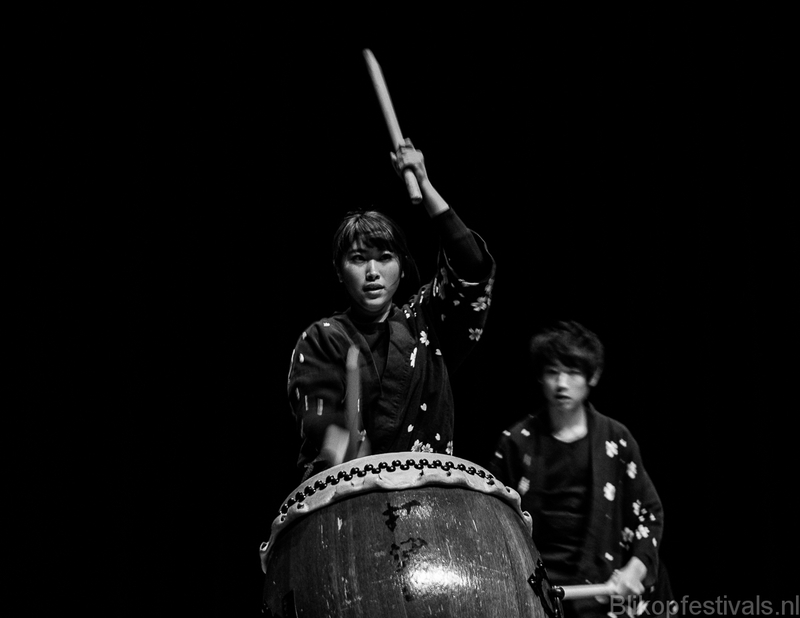 On Saturday 3 March the JAPAN DAY was held for the first time in the Netherlands at the Stadsgehoorzaal in Leiden. 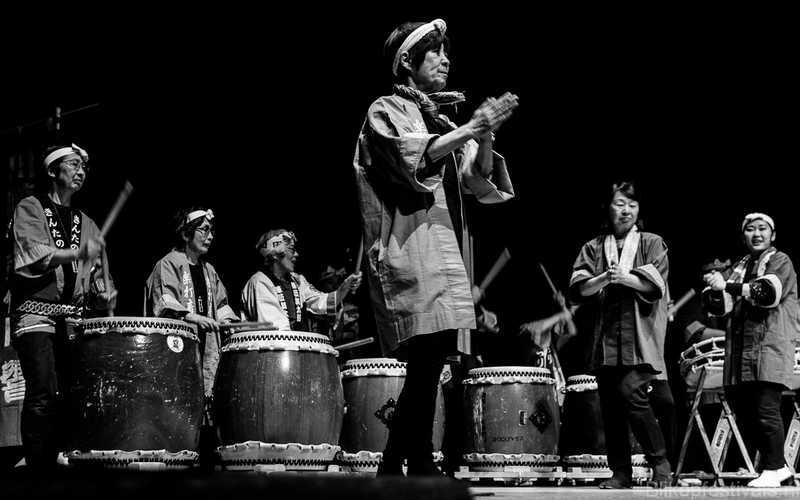 About 110 Japanese drummers, dancers, actors, musicians and storytellers, amateurs and semi-professionals, flew especially to the Netherlands to show their arts. 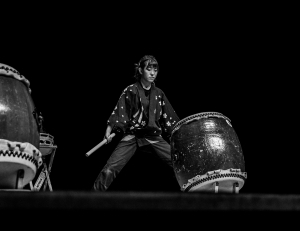 On this cold day in Leiden the first visitors were greeted with much enthusiasm and applause and given a warm welcome in the Stadsgehoorzaal by the artists from Japan. 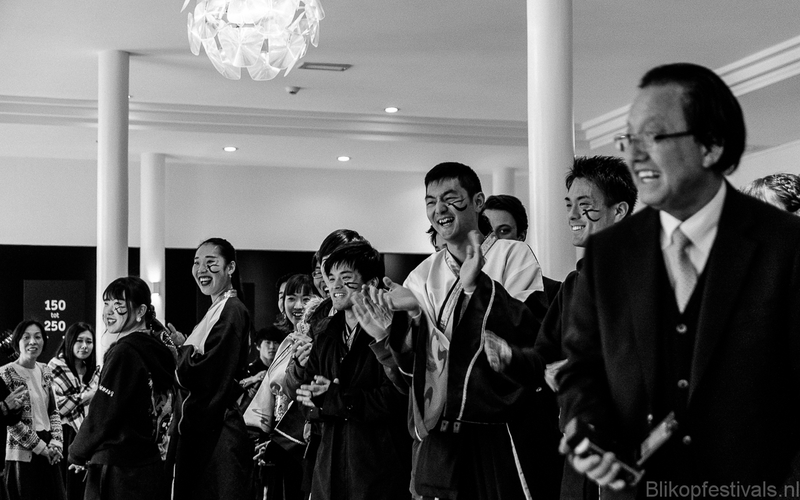 The many who were interested could enjoy in the hall traditional Japanese music, dance, stories and theatre and in the foyers participate in many workshops. 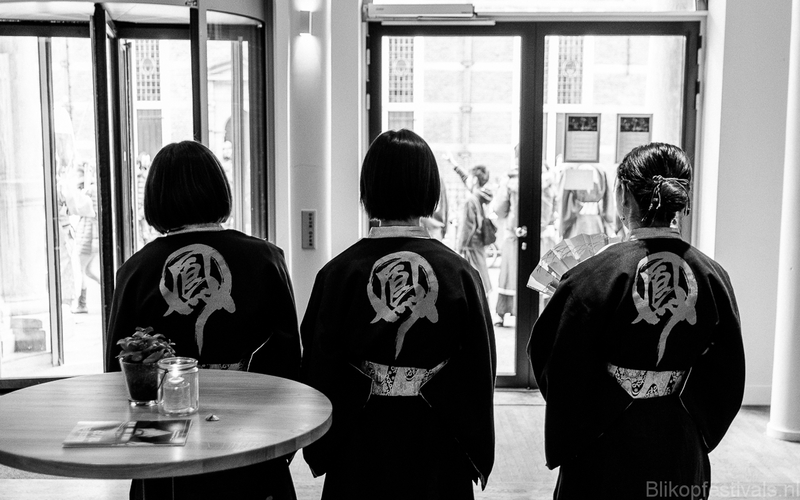 This first JAPAN DAY in the Netherlands was organised by Japan Cultural Exchange and the Gemeente Leiden. The access to the event and participation in the workshops were completely free. 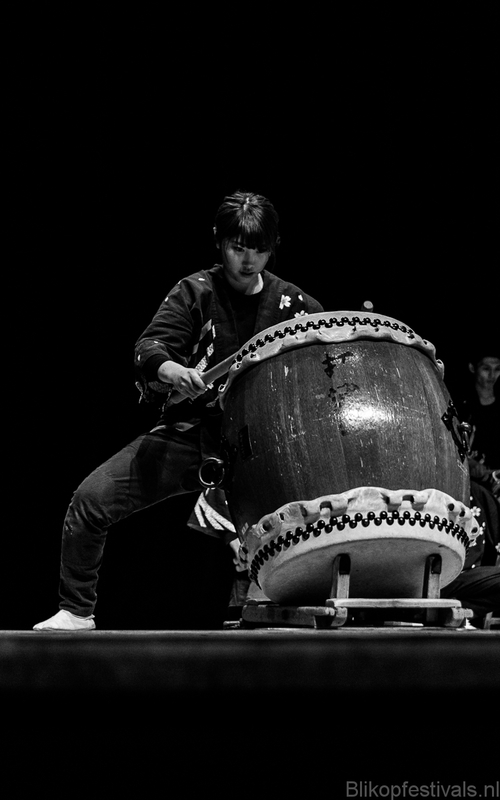 The artists from Japan wanted to bring their knowledge and expertise in traditional art forms to the Netherlands, but then in a way so that they could really come into contact with the visitors and participants. It was about the exchange of experiences, about mutual enthusiasm and understanding, and they wanted to learn from the Dutch public as well. 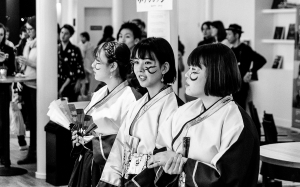 The afternoon started at 14.15u with a performance by the Kokushikan Wadaiko Group, followed by shows of the Wadaiko Yoseatsume Group, Hosei University Yosakoi & Sooran Circle, Shamisen Club Mitsudomoe, Kyogen Research Group, Chuo University Calligraphy Group, the choir Mori No Kai, Noda Japan Day and ASAHO. 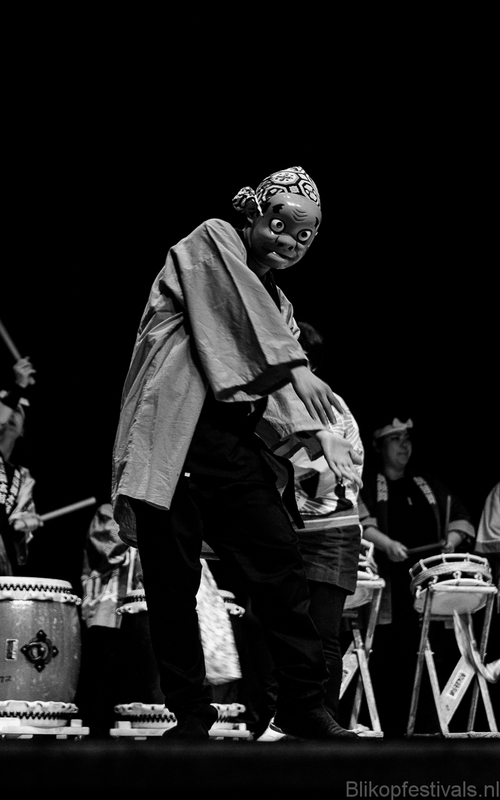 The traditional arts that could be admired were taiko drumming, the playing of the Tsugaru shamisen (stringed instrument), Yosakoi dance, Nihon buyō (traditional Japanese dance), Kyōgen (satirical form of storytelling), Shodō (Japanese Calligraphy), Kōdan (traditional rhythmic form of storytelling), song and street theatre. The performances continued throughout the afternoon and around 17.45u the day ended with a song sang by all the groups and a joint Sooran dance whereby the spectators were also invited to participate. 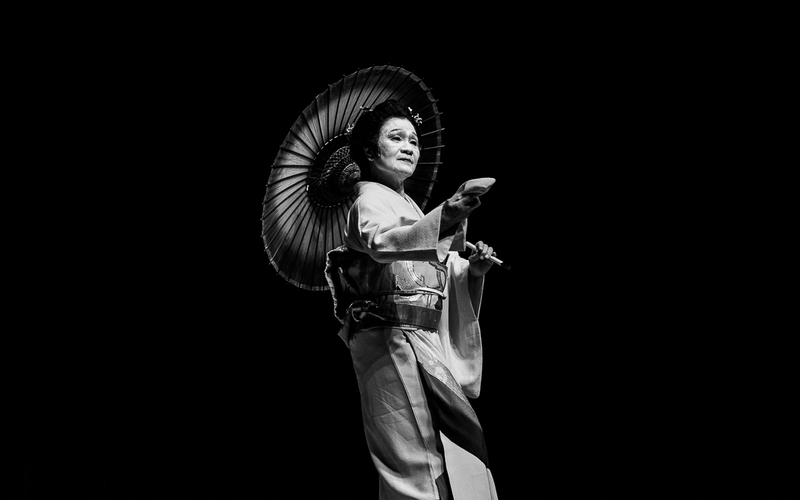 In the foyers the visitors could participate in a workshop of Yosakoi dance, origami, calligraphy, playing shamisen, fabricating kimonos en Kamishibai (telling stories with paper plates). 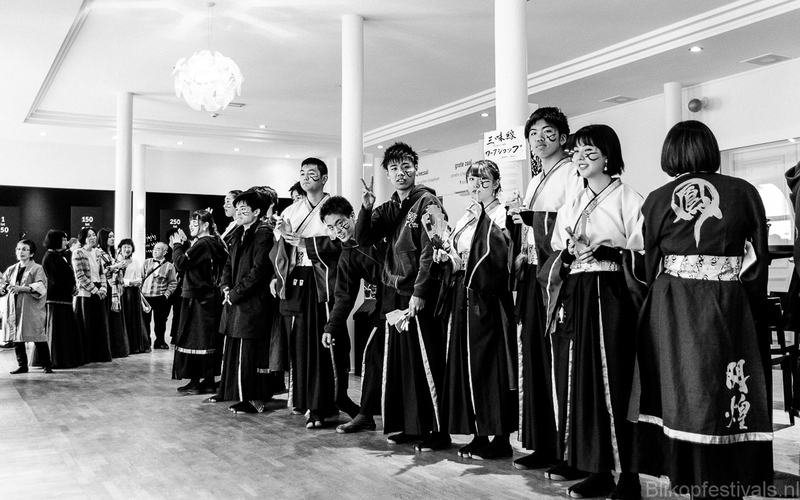 The volunteers of Japan Cultural Exchange acted as translators at the workshops. It was a great afternoon in which there was much to see and to do. The performances and workshops were brought with a lot of enthusiasm and pleasure, in which the love for their art was tangible. Blikopfestivals.nl is a documentary photo project by Alex Hamstra Photography. Photographer Alex Hamstra documents several festivals and events. Copyright © 2017-2019 Blikopfestivals.nl, Groningen, The Netherlands. 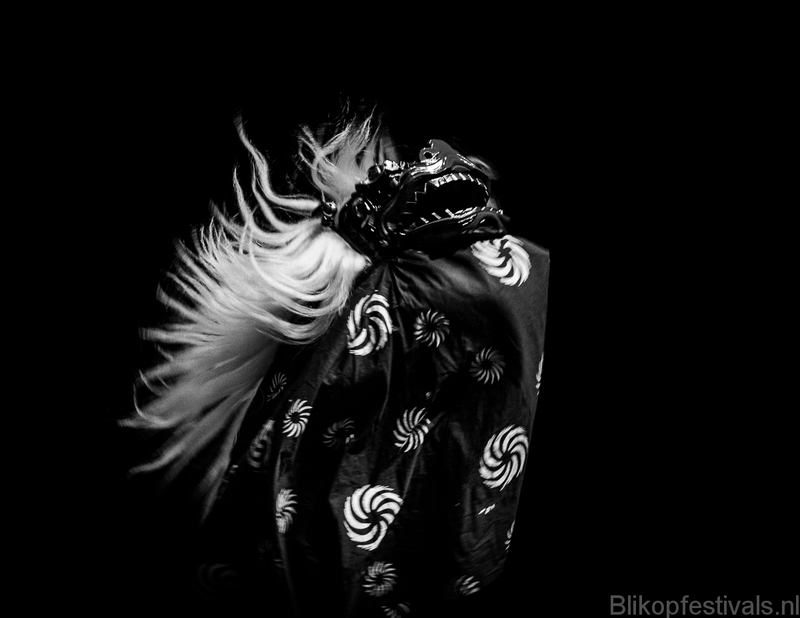 Blikopfestivals.nl is a project by Alex Hamstra Photography.